We knew it was coming. Yet we kind of hoped we’d seen the end of Optimus and co., especially after 2011’s confused Transfers: Dark of the Moon. Michael Bay even teased us that he was done with the franchise. But I guess money talks. So the awesome 1980’s cartoon designed to sell toys to kids will be making it’s way back to the cinema screen this summer with Transformers: Age of Extinction. The new trailer can be viewed below. Our appetites had been sufficiently whetted a while back, and positive news has been slowly filtering it’s way from Cybertron; Shia Labeouf (Nymphomaniac, Lawless) has been usurped by the sturdy Mark Whalberg (Departed, Fighter). Megan Fox (Jennifer’s Body, Jonah Hex) is nowhere in sight, and this time we’ve been promised Dinobots. Still no word if Grimlock will shout “Grimlock smash” though. Now I’m a little unsure which direction they are going to take now, and I was (for once) hoping for a reboot of sorts. But Bay is back at the helm with Ehren Kruger taking up writing duties once again. Hmm. The trailer does seem to focus on a new set of characters, at least, though the same-old same-old alien fighting robot warriors are all present and accounted for, including Megatron, Optimus Prime, and Bumblebee. Heck it looks like old Optimus is even set to die. Again. Anyway, we’re promised a new set of problems, and a new world-crisis-confined-to-one-city, featuring FBI G-men led by Kelsey Grammer (X-Men: The Last Stand), arrogant robotics specialist Stanley Tucci (The Hunger Games), and Whalberg’s daughter Nicola Peltz (Righteous Kill). It would seem the Transformers have gone to ground, but thankfully are “awakened” by Whalberg in time to save the planet once again. While Bay would be the first to admit the previous films lacked any form of depth or soul, I’ve still got high hopes for this. It could be excellent. It could be an action masterpiece. It could be Con Air with giant robots. God I hope so. 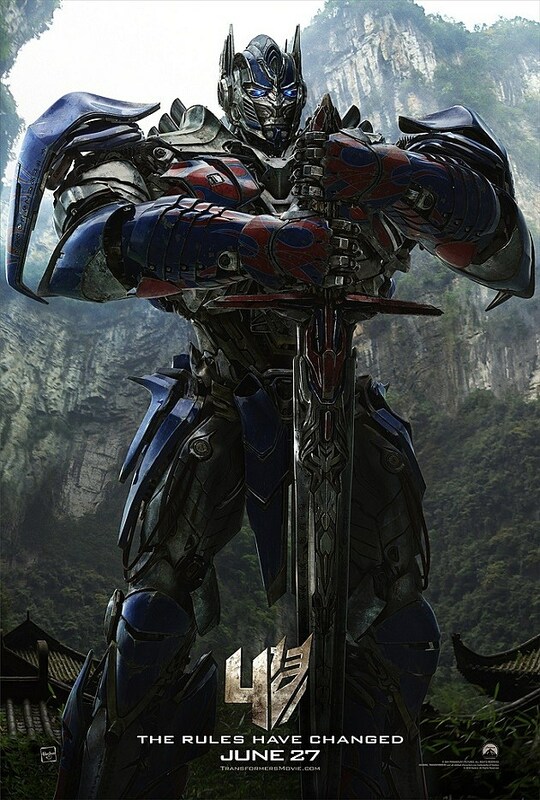 Transformers: Age of Extinction will hit the cinemas on June the 27th. This entry was posted in Trailers and tagged Kelsey Grammer, Mark Wahlberg, Michael Bay, Trailer, Transformers, Transformers: Age of Extinction. Bookmark the permalink.